I believe I mentioned last week that I’ve been eating pancakes and waffles for dinner a lot recently. There are a number of reasons for this. 1.) Breakfast foods rock. Any time of day. 2.) Pancakes/waffles are generally quick and easy to throw together when your poor little brain is just too tired to come up with another solution. 3.) After my last ugly waffle disaster, I caved and went to Target in search of a new waffle maker. And since we wouldn’t want the newest appliance in the family to feel neglected, obviously I have to use it more than once in a blue moon. 4.) Similar to 1, but worth repeating: Who doesn’t love pancakes and waffles?! And so, it was with these thoughts in my head and a craving in my belly that I again attempted the sweet potato waffles that turned out so hideous last time I made them. I knew, I juuuuuuust knew that I could make them even better and, certainly, prettier this time around. Having a waffle maker that isn’t older than me helped with this. If you’re intimidated by the fact that these waffles require the whipping and folding of egg whites, don’t be. It really isn’t that scary and the whole process makes the waffle infinitely lighter and fluffier than they would be without it. Pinky swear. Make these for breakfast. Brunch. Lunch. Dinner. Midnight snack. They’re delicious any time of day and, with the sweet potato and whole wheat flour, you could almost get away with saying that they’re downright good for you…and they’re definitely good for the soul. In a large bowl, whisk together flours, baking powder, salt and cinnamon. Set aside. In a separate bowl, whisk together sweet potato, milk, orange juice, brown sugar, coconut oil and vanilla. Add to the flour mixture and stir to combine. The batter will be very thick. In a clean, dry bowl, beat egg whites with an electric mixer on low speed until foamy, then increase speed to high and beat until stiff peaks form. Gradually fold egg whites into the sweet potato batter ⅓ at a time. 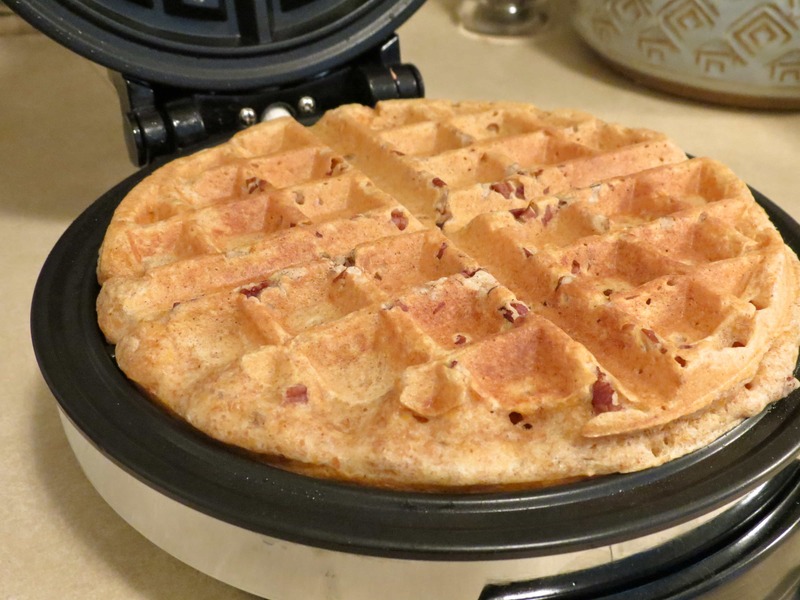 Ladle or scoop batter onto a preheated, greased waffle iron, sprinkle evenly with a small amount of the chopped pecans and cook until lightly browned (exact cooking time will vary depending on your waffle iron). 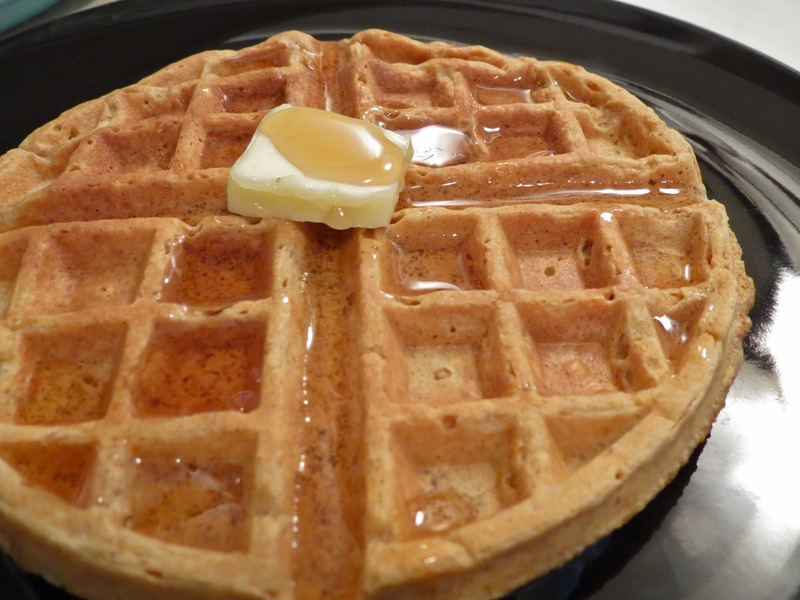 Keep cooked waffles warm on a cookie sheet in a 200-degree oven. Serve with maple syrup and love. Hooray! Another waffle to add to our Sunday morning habit! Thank you for sharing. The first time I read about whipping the white separately and folding them in I had my doubts. It has since become my default method. It definitely does so much to make them much lighter! These sound amazing. I have been craving waffles and or pancakes for every meal this week. Weird right? Maybe it’s going around. 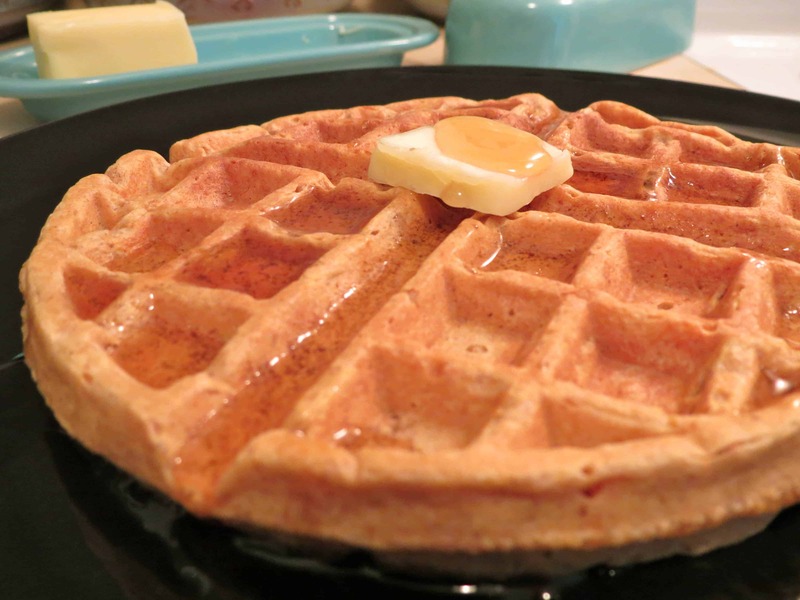 What a great spin on traditional waffles. I bet these are a great weekend treat! You know my aversion to sweet potatoes, but these look really tasty. It makes me feel so conflicted! It also makes me wonder if I should gave and register for a waffle maker. Do it. I mean, you could register for a really nice one but the cheap one from Target that I got seems to work perfectly fine (but then again, if it’s on the registry you should probably try for a nice one, haha). Also, would it help if I promise you that they don’t taste overtly sweet potato-y? Maybe they would be a good way for you to ease yourself into the sweet potato thing. Although you could definitely sub canned pumpkin. Just saying. Made another go at making Sweet Potato Waffles with much more success this time. It helps tremendously to have the recipe in the kitchen instead of the next room. Delicious!! !